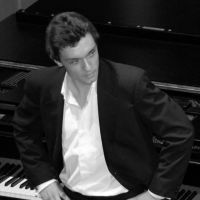 Additional Info: Adam is a professional pianist trained in both Classical and Jazz music. He has a large experience in playing concerts, accompanying both musicians and dancers, and in session work. His sight-reading skills allow him to learn a lot of repertoire in a short amount of time, making him ideal for short-notice gigs/concerts/recordings. He also trained as a Tenor which has taught him a lot about accompanying singers. He has a large experience in Musical Theatre and Opera as a Musical director, pit musician and repetiteur. He is available for recordings, concerts, instrumental exams, dance exams, ballet classes etc. He can be contacted by email on adambridges@live.co.uk or by mobile on 07786 333 545. Fees are negotiable depending on the client's budget/circumstances.